“?”, DLH, black with yellow eyes, location found: Cedar and Dewdney (Hammond Street) at the beginning of May. Friendly. 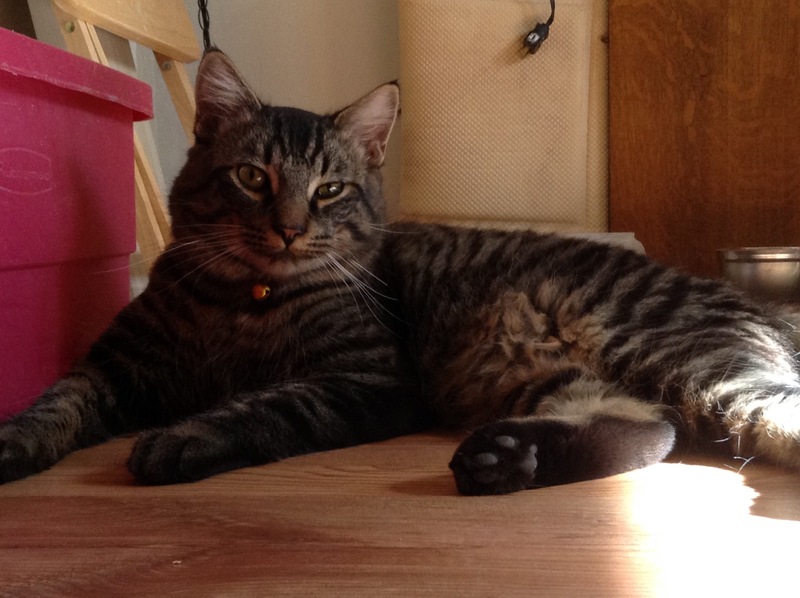 “?”, male, not neutered, DSH, Short hair silver-grey tabby, with black, found at: SunDorn, Hatzic Lake, Mission. Has been hanging around for several months. Age: Adult, No tattoo. 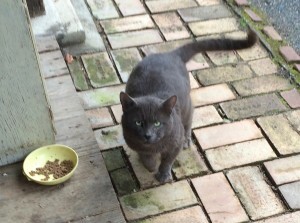 “?”, male, not neutered, grey and black, DSH, Age: Adult, found at: Stave Lake Street in Mission. No tattoo. 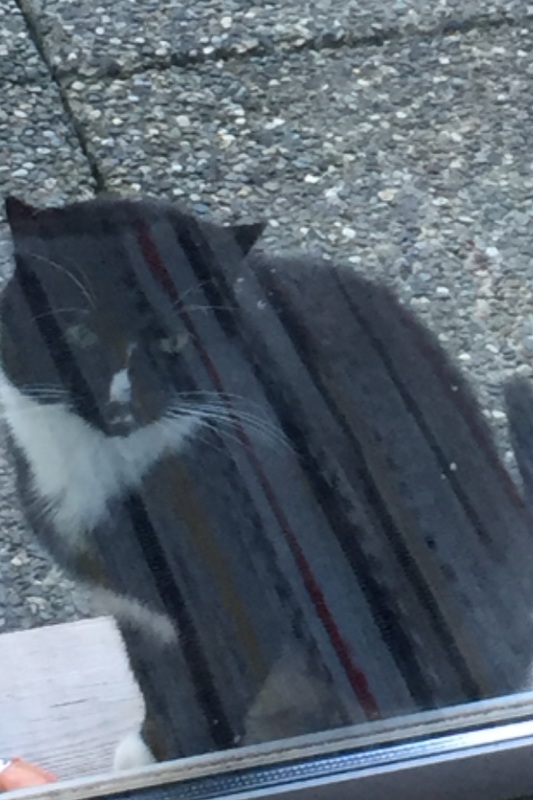 “?”, male, not neutered, white with grey patch on side, location seen: Sylvester and Hartley on April 17. Very affectionate, injured but ran away. 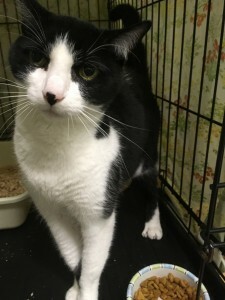 “?”, cat , DSH, black and white, Age: Adult, location found: Widgeon Avenue Mission. Skittish. “?”, cat , calico, mission most of it’s tail, location seen: Hall/Silverdale on March 26. Wearing a black collar with bell. 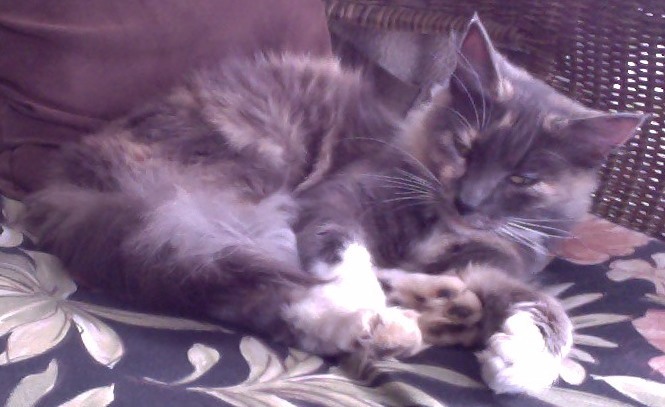 “?”, cat DLH, female, white and grey and brown, Age: Adult, location seen: Hillside Area around Christmas. 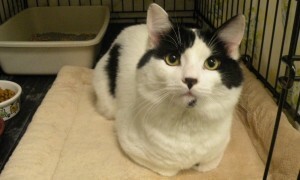 “Pippin”, Male, DSH, Black and White, Age: young, location found: Fairfield Island in Chilliwack at the end of January. 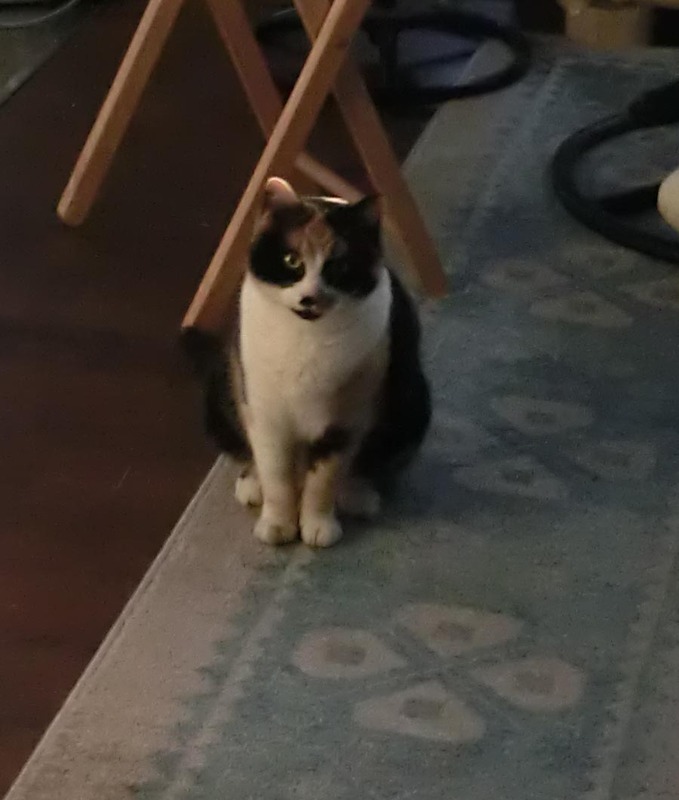 “?”, Female, Calico, Black and Orange, location found: Stewart Street on January 17 at 9:45 am. 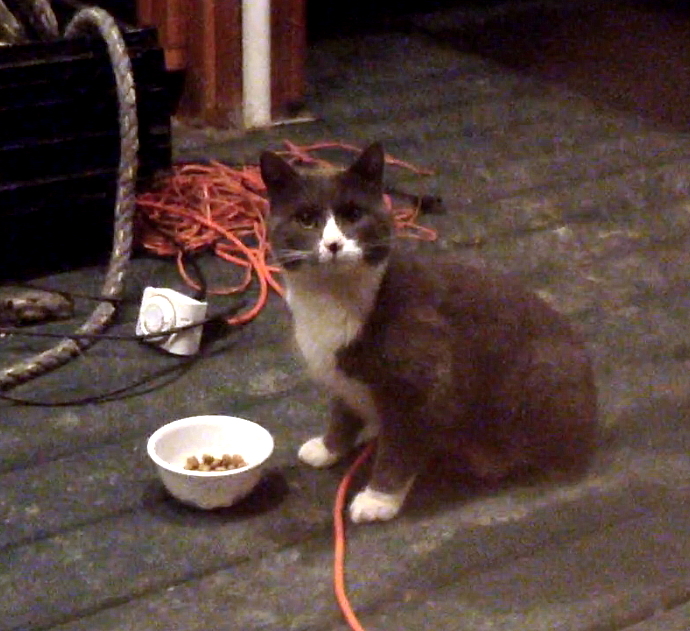 Friendly, skinny, very hungry, stray? “?”, tabby, grey, DSH, Age: around 6 months, location: Araki Court off of Stave Lake on January 17. “?”, calico, female, Black and Orange, found at: Stewart Street on January 17th at 9:45. Has tattoo. “?”, possible male, white and orange, Age: around 5 years, found at: Silverdale on Donatelli Avenue and McClean near an elementary school. First seen Tuesday January 17. Very friendly, taking him to vet. “?”, female Calico, might be part Siamese has a slender face, Age: under 2 years, location seen: 7th and Stave on January 7th. 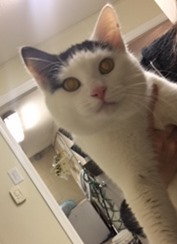 “Angus”, not neutered, DSH, white and black, Age: 1 year +, found at: Immel street in Abbotsford. Angus was brought in to us from a client as a stray, he has been living at the hospital with us for the past two weeks. He is a very sweet, loving, curious cat. Some distinctive markings include a white tip on the very top of his tail, with some black spots. 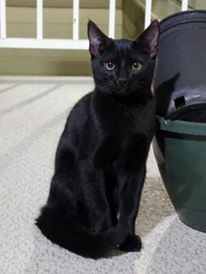 Black, Age: 3-4 months, found at: McDonalds area of Mission (Fraser Crescent) on 11:30pm January 5th. Calico, young female, DSH, housebroken, found end of December in the Rolley Lake area. Tuxedo – black and white, found at Pearson Street in Chilliwack on December 27,28 and 29. Very friendly. 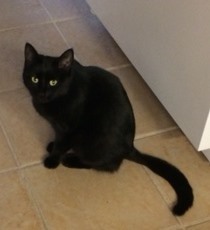 Male, black with white paws and nose, DLH, Age: 6-8 months, location last seen: Stave Falls on November 22. 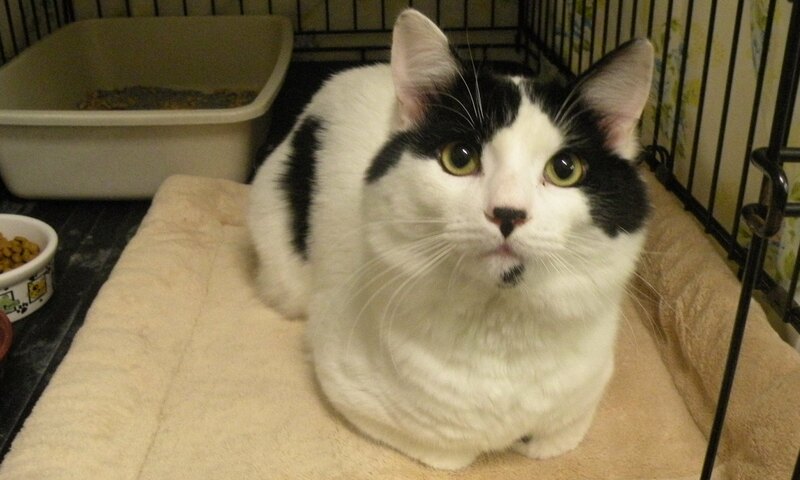 Neutered male, was brought in November 8 and found in the Rolley Lake area. Young Adult, Male, black, slim face, body, legs, tail, short hair, Age: approximately 1 year, found at: Tim Hortons Drive Thru-Mt.lehman HWY#1 EXIT Abbotsford, BC Found date: 10/26/2016 @ 9:30PM. Found on Hawkins Pickle Road. Has tattoo. “?” black and white short hair, Age: 3 or 4 months, found at 9839 Hall Street Mission on October 1, 2016. “?”, DSH orange cat, male, orange and white, seen around the parking lot of Pleasant View Apartments on Hurd Street, evening of October 2. “?”, DSH, female, black, siamese looking gace with small tuft of white under chin, Age: 5 months or so, location found: N.E. Mission Sylvester around September 24. Very friendly. 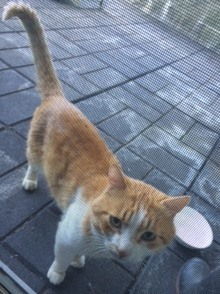 “?”, male, Orange and White, appears young, found at: Heather Avenue in Mission on October 1 at 10:30 am. 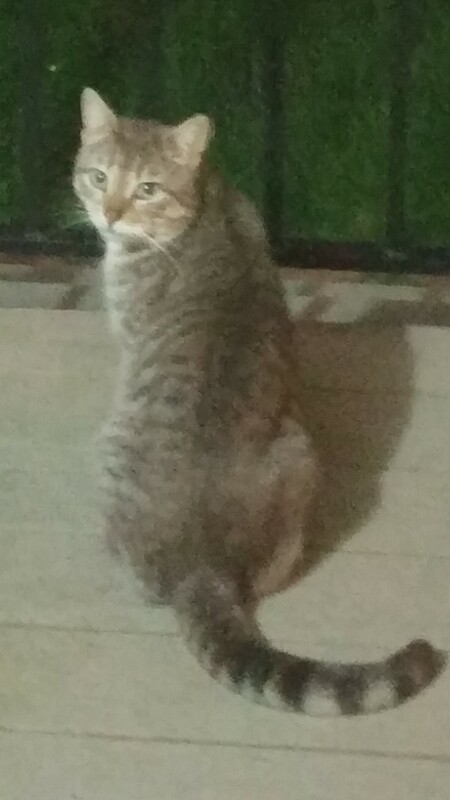 This cat just showed up at our house and had been hanging around all day, it’s friendly and approachable and seems to be a young cat. “?”, male, not neutered kitten, DSH, black with white on chest, found at 3rd and Stave on August 21. “?”, male, orange and white tabby, location found at: Mt. Lehman Road in Abbotsford on May 22. “?”, DSH, grey, black and white paws, Age: Young, Ruskin Trailer Park around 1 to 2 months ago. “?”, grey and white, fluffy, DLH, young adult , Patterson and Sew x on April 1. Has a white collar. 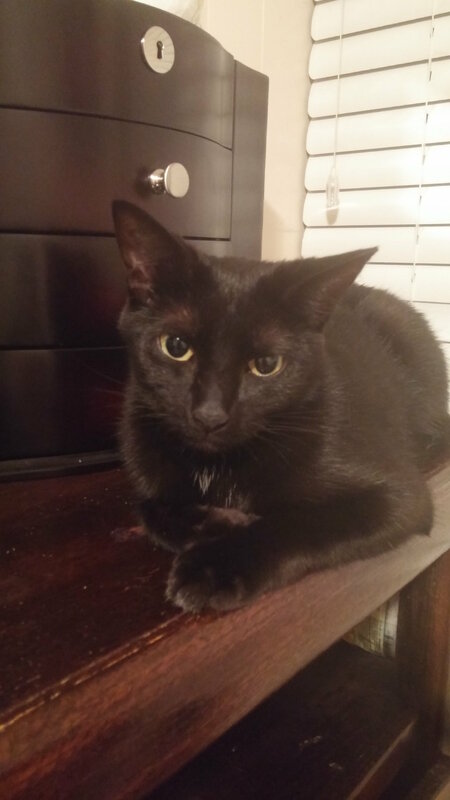 “?”, male, DSH, black with a little white on chest, green eyes, Age: 7/8 months, location seen: Fernadle a few days ago. “?”, male, grey, found at: Clayburn Village in Abbotsford. 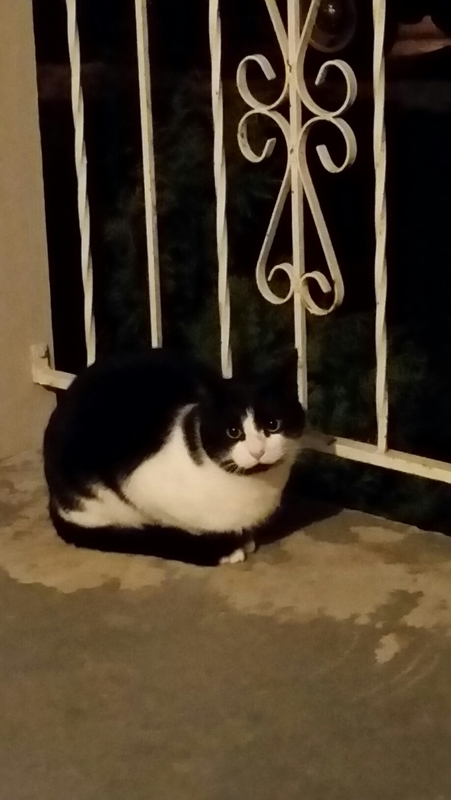 “?” male, black and white, not neutered, Age: under 1 year, found at Best and Cedar over a month ago. “?” found cat at James and 1st. “?” found black/grey and white cat on Draper Street. 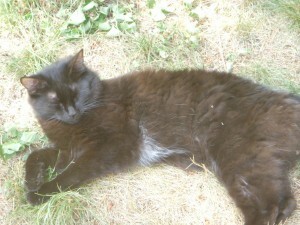 “?”, female, brown and black, Age: not more than six months, location found: Brown Street in Mission. 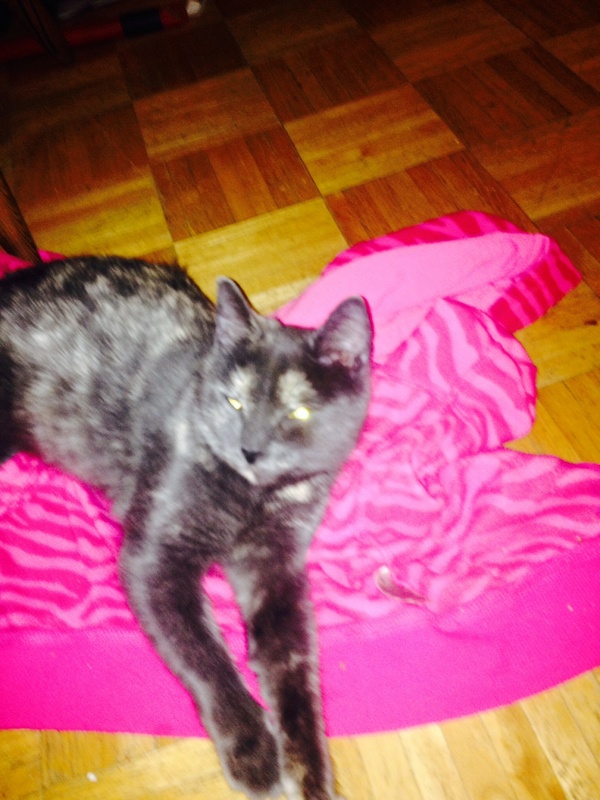 “?”, female, not spayed, DSH, grey multi color, Age: 6 month, location found: 8643 Sylvester Road near Huskey. Found a small black cat, with what looks like a partially shaved tail. No markings. Very affectionate. Can’t tell if it’s a neutured male or a female. Looks to be 1 or 2 ish. Followed a neighbour home from James and 6th in Mission on Tuesday, the 12th of January. “?” DSH, male, not neutered, orange and white, Age: Young. Diamond white between eyes, location found: Hurd and Holiday about 1 week ago. Very friendly. 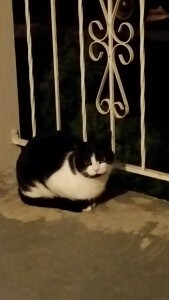 “?”, white and black cat brought into the FVHS as a stray. Found at Hatzic in a backyard. Has been coming around for a couple of weeks. Might be around 7/8 months. “?” (has been named Marmalade). Is approximately 5-7yrs old. Orange DMH. Shy. Has been in neighbourhood of Birch/4th Avenue in Mission for a year. 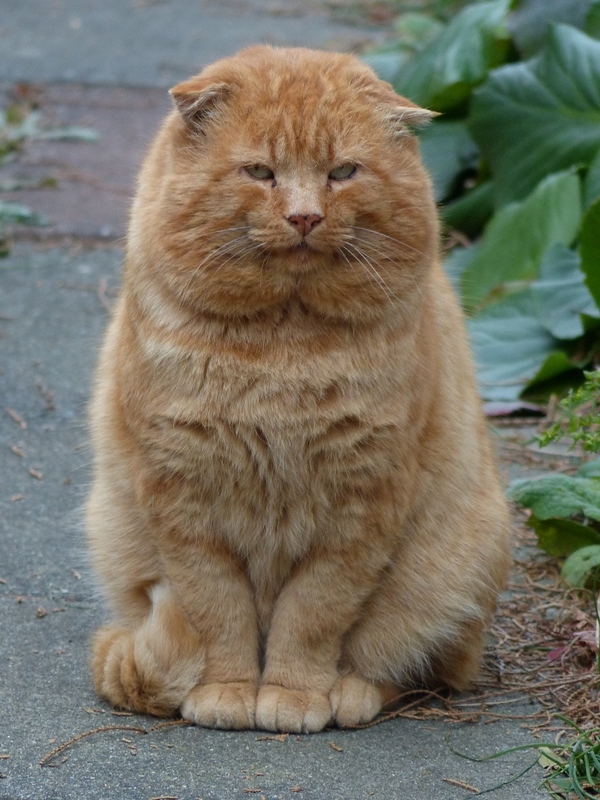 Is probably neutered, friendly to other cats around here. 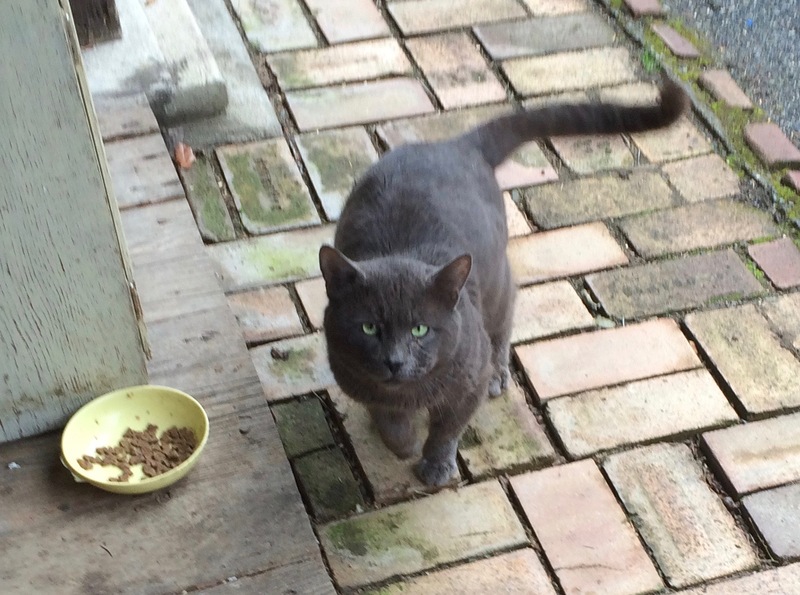 “?”, DSH, grey with a little white on nose and paws, location seen: Fleming Avenue and Ider and Peterson on November 10. Has a collar with bell. “?”, DMH, male?, grey and white, Age: Older/Adult, location seen: 11th Avenue and Topper Drive around October 25. “?” DSH, male, not neutered, Orange Tabby with white, Age unknown, location found: Hurd and Holiday (by hospital) – has been around for months. 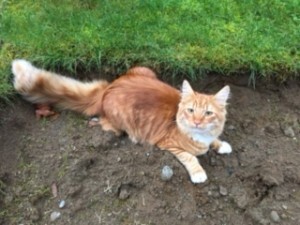 “?”, DMH, Orange tabby, Age: Adult, location last seen: Leburnam, Clayburn Middle School Abbotsford on and off for 6 months. 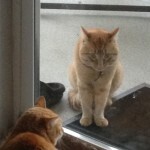 “?” , Tabby – orange and white, unknown age, location found at: Eagle Road, Hatzic Lake . Has been coming to door for several months. Has tattoo. Is wearing black collar with red, white and blue squares. Silver ball handing from collar. “?”, DSH, Black, location found: Thorpe and Egglestone in Mission. Shy, can’t see if there is a tattoo. “?”, orange and white, very young, location found: Antelope and Bobcat. 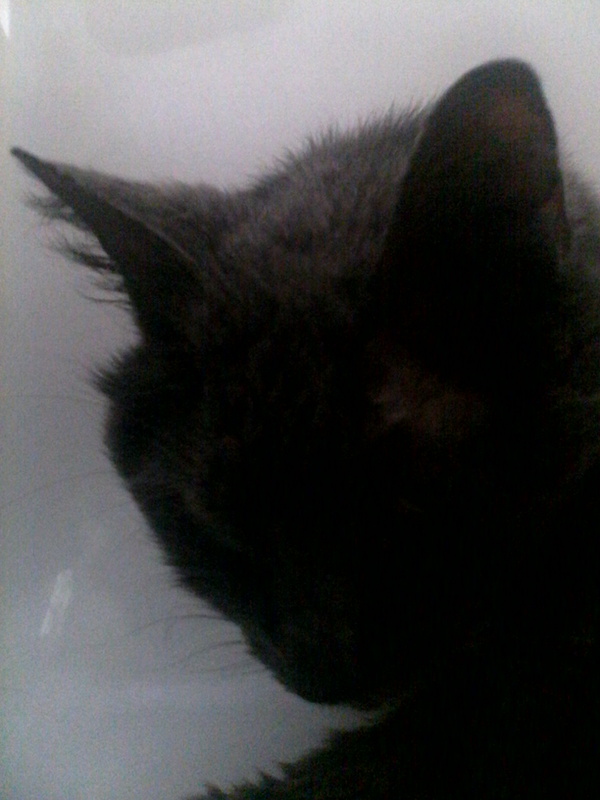 “?”, cat, think it is female, black, Age: Very young kitten, location found: ESR Elementary School on Cherry Avenue. “?” female cat, spayed, torti, Age: Young, location found: 32945 3rd Avenue and 3rd at Birch during the last big storm, has tattoo and collar with bell. “?” , cat, black and white, found at: Abbotsford Sumas Mountain, has tattoo. “?”, Cat, grey, found at: Mission, has tattoo. 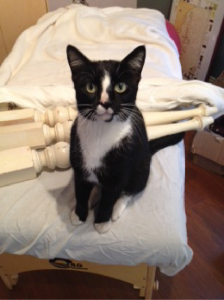 “?”, male, cat, tuxedo, Age: 4 years, location last seen: 32931 1st Avenue on August 25. 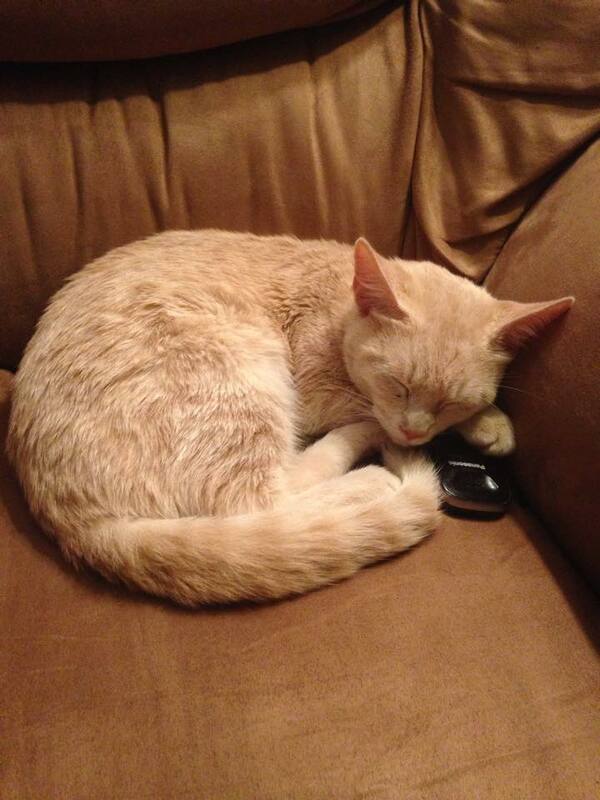 “?”, female cat, Cream tabby, Age: Young, location found at: 11th Avenue, has collar, Was found on our back porch, and fell asleep late at night at our door, so she was brought in for safety, and now we are in search of her owners, she is to scared to even go out when she was given a chose to. 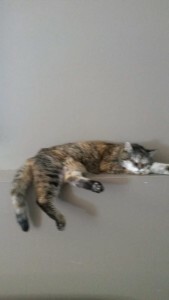 “?” Female Calico cat, very underweight was found Tuesday morning September 1 at 33020 Cameron Ave in Mission. She had a large tick on her face which was removed. 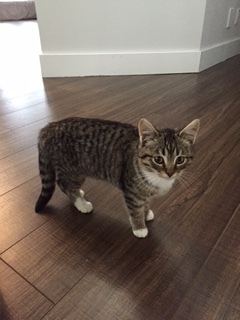 “?”, male, cat, tabby with brown and black, found at: McMillan/Marshall area of East Abbotsford. “?”, DSH, female, black and white Age: Young, location seen: 7th and Cedar Street on July 20. 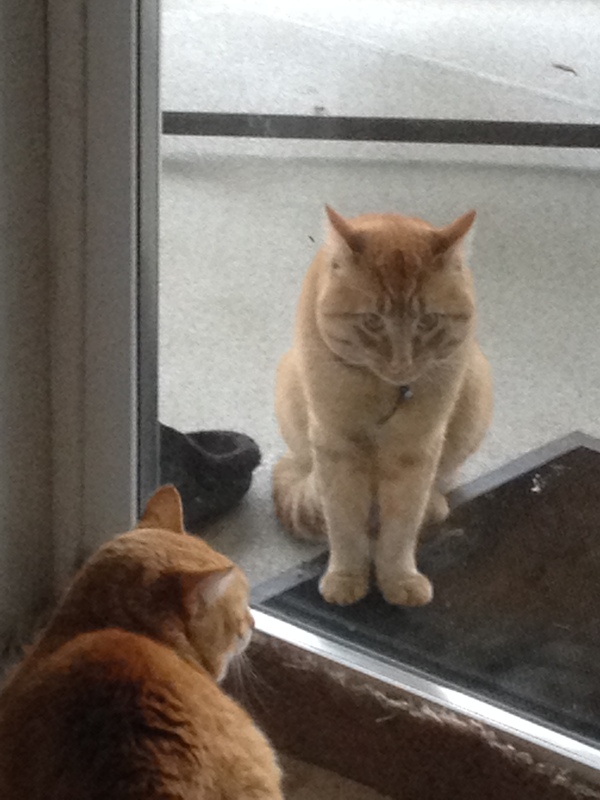 “?” DSH, orange tabby, very friendly, location seen: Cade Barr, Rose and Best AVenue on August 18. 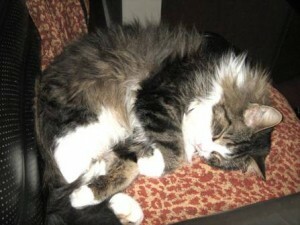 “?”, adult female, tabby with brown, black and white, Age: Adult, found at 5 Corners near Angry Chef in Abbotsford. Has two collars – 1 flea, 1 black snap on with gold bell. 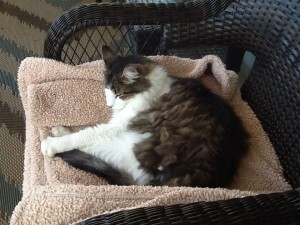 “?” adult female, tabby with brown, black and white, Age: Adult, found at 5 Corners near Angry Chef in Abbotsford. Has two collars – 1 flea, 1 black snap on with gold bell. “?” DSH, male not neutered, Grey Tabby, white on nose and chest, Age: 4 years, location last seen: Cedar Road & Briskham Street on July 26 in Maple Ridge. “?” DSH, White with brown, unknown age, found at 32536 Mitchell Avenue. “?” female, black cat with long hair. Age: less than a year, found at: Vishloff Street in Mission. Appears to have recently nursed. “?” black kitten about 2 months old, uses litter box, playful and agile – found at George Ferguson and Gladwin. 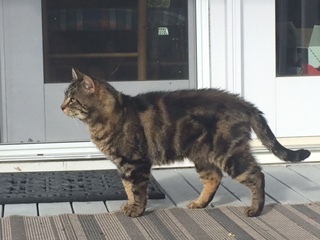 “?” DSH, male, not neutered, black and brown tabby, location seen: Ruskin and Wilson Street, Triple Creek Mobile Park at the end of June. “?” Found on porch. 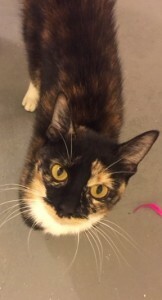 Female calico. Has been in area for about a month. In Mission Cherry Avenue. Wearing black collar. “?” all white, location seen: Ruskin Trailer Park on June 27. “?”, male, cream and white, has been around home for about 5 months. Kitty will not let person see in the ear but there is a tattoo in right ear. “?”, tabby grey and white, found at the Corner 2nd Avenue and Murray, has wound on face, scared, ran away but is around neighbourhood. 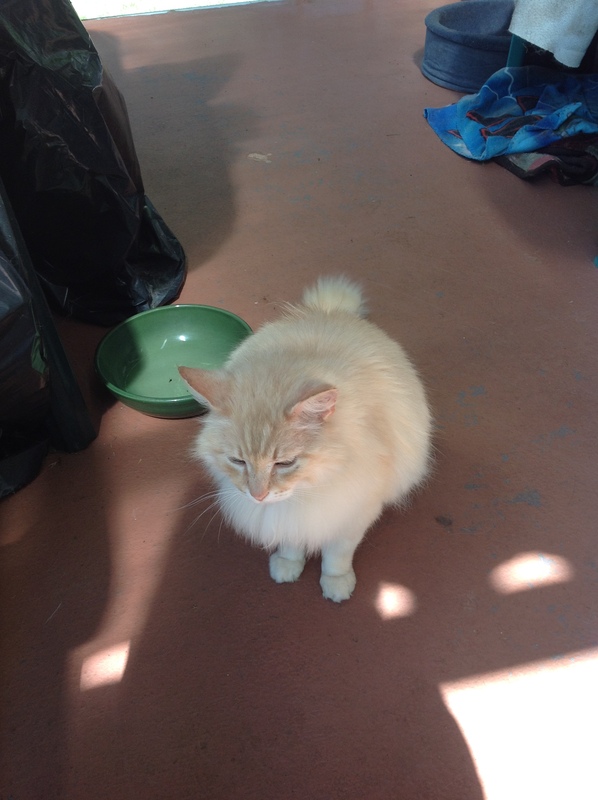 “?” male, not neutered, DSH, orange and white, Age: Adult, found at: 7th Ave and Briskham. 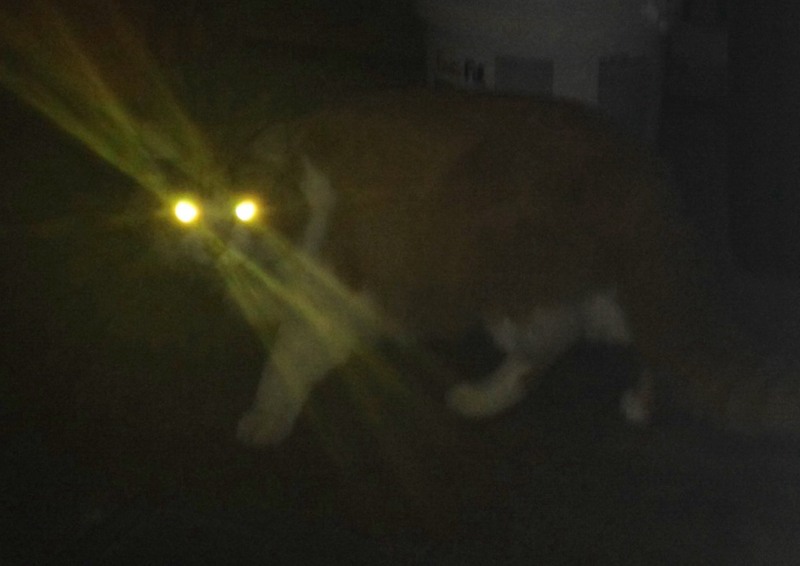 “?” Calico, found at: Lights just before French Emmersion School, ID: Tattoo maybe GB 356? “?” DMH, Tabby – no white, male neutered, Age: 6 months, location seen: Bird Area (Woodcock) found on Silverdale off of Wren) on Sunday May 3. Has tattoo. “?” Cat with white and orange, Cardinal and Dewdney on April 30. 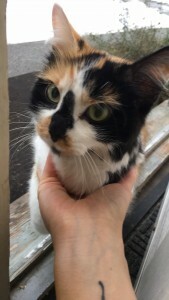 “?”, DSH, female calico, location seen: Jones Road and Thompson, first seen over 5 months. “?”, male not neutered, DSH, all over grey with gold eyes, very large, Age: 3 years approx. Has been around for about a year around 7910 Cedar Street. 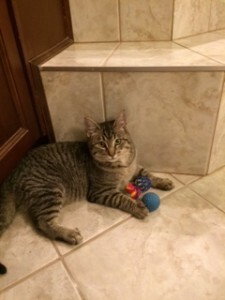 “?”, male, not neutered, Tabby grey with raccoon tail, light tabby, Age: young 6 months to a year, location seen: Lake Erroch (south) since March 12. 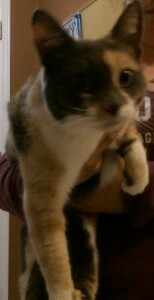 “?”, Female cat, white and orange, Approximately 1 year (a guess), found on Hurd in February. Does not seem to be spayed. – Blond Persian, location seen 1st and Alder on February 10. – Male, black and white DLH, big white stripe on forehead, location seen: 1st and Alder on February 11. – Male, black and white DSH, Age 1 year approximate, found at Lougheed and Dewdney – hit by car – at Hill N Dale Vet on Feb 7. 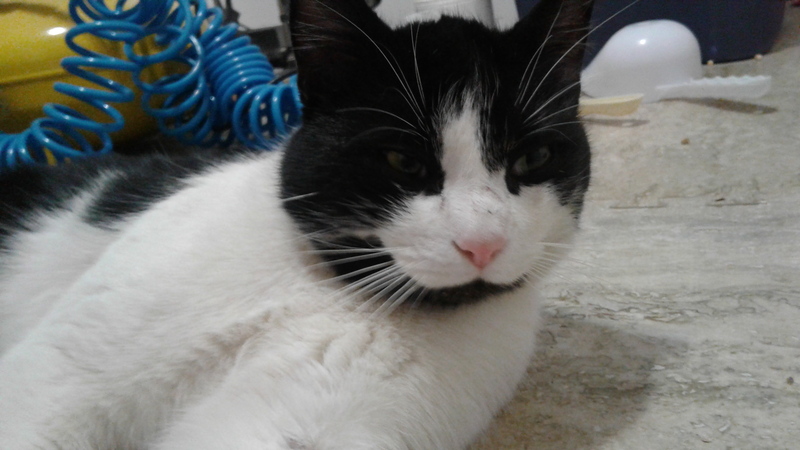 – White with black spots, Young perhaps 1 year, location Best and Bergin – hit by cat and died – taken to Mission Vet. – Orange and white manx, young around 7 months, found Cedar and McCrae area. – Short haired tabby (gray/orange and white chest, feet), female, has a tattoo but cannot read it, found at 7th Avenue and Cedar Hill. 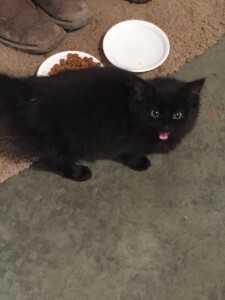 – 2 cats – one is grey with white feet, the other is solid black, Age around 4 months, found N. Mission Stave Lake Road and Suex Road on December 20. – DSH, black with fluffy tail, female, Age 6 to 7 months, location: 1st Avenue – was hit by a car Tuesday evening January 2. Cat is at Mission Vets. – Male grey tabby white on face, chest and paws. Seen: McRae from Christine Morrison – beginning of November.